Spoiler: I wouldn’t call The Ordinary Azelaic Acid Suspension 10% a dupe of Paula’s Choice 10% Azelaic Acid Booster. If you know The Ordinary (and who doesn’t? ), you know they’re one tricky ponies. They give you one active per product – that’s how they keep the prices low. Paula’s Choice takes the opposite approach. She packs her products with all the goodies she can find. But, of course, you’re going to pay more for that. 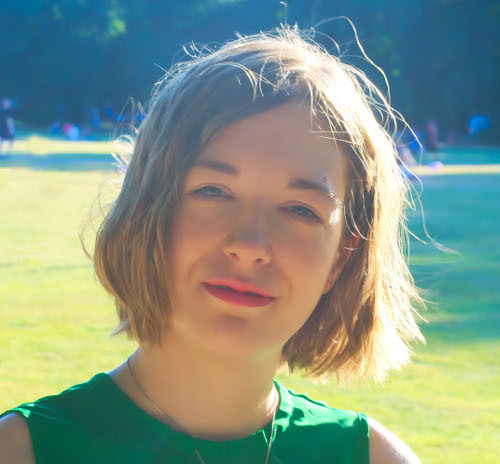 So why am I even writing this post? Well, Paula’s Choice 10% Azelaic Acid Booster and The Ordinary Azelaic Acid Suspension 10% are the most popular Azelaic Acid products out there – and it’s not like they have much competition. If you’re ready to try Azelaic Acid but don’t want to go down the prescription route yet, chances are you’re gonna buy one of these two. So, which one is worth your money? Fades away hyperpigmentation: research shows that azelaic acid is more effective than 4% hydroquinone (the gold standard for hyperpigmentation) at reducing dark spots and Melasma. It’s also gentler on the skin. Fights acne: Azelaic Acid kills the bacteria that gives you acne, soothes the inflammation that contributes to its development and helps exfoliate the skin so dead cells don’t end up clogging your pores. Studies shows that high concentrations of Azelaic Acid (15-20%) are just as effective as Benzoyl Peroxide, Tretinoin and Accutane at treating acne – even the super inflamed, cystic kind. The best part? It’s also gentler and doesn’t dry out skin as much as these other acne treatments. Treats rosacea: 15% Azelaic gel reduces erythema and inflamed lesion of papulopustular rosacea over 6 months. Scientists haven’t figured out how it does this yet, but they think it’s due to its anti-inflammatory properties. To sum it all up, Azelaic Acid exfoliates skin, unclogs pores, reduces inflammation and even kills bad bacteria. If you’re tried everything to get rid of your dark spots, acne or rosacea, give Azelaic Acid one last go. You should see results pretty quickly. Related: Battle Of The Skin-Lighteners: What Is The Best Alternative To Hydroquinone? There’s a reason why The Ordinary Azelaic Acid Suspension 10% is way cheaper than Paula’s Choice 10% Azelaic Acid Booster: the formula’s super basic. Azelaic Acid aside, The Ordinary Azelaic Acid Suspension only contains a bunch of silicones that make the thick texture easier to spread, keep skin soft and supple and reduce the appearance of fine lines and large pores. No. Silicones have a particular molecular structure with big gaps between each molecules. Skin can still perspire – and active ingredients reach the skin – through these gaps. The real con of silicones is they’re the skincare equivalent of foundations. They airbrush imperfections but don’t have any moisturising or antioxidant properties. Caprylic/Capric Triglyceride: derived from coconut oil, it’s just as moisturising but won’t clog your pores. Salicylic acid: an exfoliant that gets inside the pores, removing whiteheads, blackheads and pimples. It also keeps them from coming back. Licorice extract: a skin-lightener with antioxidant properties. It helps reduce dark spots and keep wrinkles at bay. Allantoin and bisabobol: they have anti-inflammatory properties that soothe redness and irritations. Paula’s Choice 10% Azelaic Acid Booster goes the extra mile: it helps with acne, rosacea and hyperpigmentation, soothes irritations and moisturises skin. Which Of The Two Should You Go For? First things first: I recommend Azelaic Acid only when you’re dealing with stubborn acne, rosacea or hyperpigmentation that don’t go away. Don’t go adding products you don’t need to your skincare routine because you’ve heard raves about them. That’s NOT going to help your skin. Now that’s out of the way, which of the two should you go for? It all depends on your budget. If you’re on a tight budget and don’t mind silicones, The Ordinary Azelaic Acid Suspension 10% will do the job just fine. If you can afford to spend a little more, Paula’s Choice 10% Azelaic Acid Booster is worth every penny. Azelaic Acid doesn’t play solo, so you get more bang for your buck. Is The Ordinary Azelaic Acid Suspension 10% A Dupe For Paula’s Choice Azelaic Acid Booster? Nope. The Ordinary Azelaic Acid Suspension 10% isn’t a dupe for Paula’s Choice 10% Azelaic Acid Booster. It’s a much more basic version. You only get the Azelaic Acid and little else. But if you’re on a tight budget, it’ll do. What’s your fave: Paula’s Choice Azelaic Acid Booster or The Ordinary Azelaic Acid Suspension 10%? Share your pick in the comments below. Paula’s Choice Azelaic Acid Booster Ingredients: Water (Aqua), Azelaic Acid (skin-brightening/tone-improving), C12-15 Alkyl Benzoate (emollient), Caprylic/Capric Triglyceride (skin-replenishing), Methyl Glucose Sesquistearate (emollient), Glycerin (skin-replenishing), Cetearyl Alcohol (texture enhancer), Glyceryl Stearate (texture enhancer), Dimethicone (hydration/texture enhancer), Salicylic Acid (exfoliant), Adenosine (skin-restoring), Glycyrrhiza Glabra (Licorice) Root Extract (skin-soothing), Boerhavia Diffusa Root Extract (skin-soothing), Allantoin (skin-soothing), Bisabolol (skin-soothing), Cyclopentasiloxane (texture enhancer), Xanthan Gum (stabilizer), Sclerotium Gum (stabilizer), Propanediol (hydration), Butylene Glycol (hydration), Phenoxyethanol (preservative). The Ordinary Azelaic Acid Suspension 10% Ingredients: Aqua (Water), Isodecyl Neopentanoate, Dimethicone, Azelaic Acid, Dimethicone/Bis-Isobutyl PPG-20 Crosspolymer, Dimethyl Isosorbide, Hydroxyethyl Acrylate/Sodium Acryloyldimethyl Taurate Copolymer, Polysilicone-11, Isohexadecane, Tocopherol, Trisodium Ethylenediamine Disuccinate, Isoceteth-20, Polysorbate 60, Triethanolamine, Ethoxydiglycol, Phenoxyethanol, Chlorphenesin. Are You Ready To Night Switch To Retinol, The Only De-Ageing Molecule? Is The New Sunday Riley Good Genes Glycolic Acid Treatment As Good As The Original Lactic Acid Treatment? I am planning to try several of The Ordinary products including the Azeliac Suspension. Right now, my regimen consists mainly of Paula’s Choice. But if you layer your products, can’t you get a similar blend of benefits with The Ordinary versus a single Paula’s Choice product? Geo55, technically you can. Just make sure you don’t end up paying more. If you need to use 3/4 products to get the benefits of 1, that one expensive product may turn out to be cheaper. Also, it depends on your lifestyle. I personally don’t have the patience for a skincare routine that’s more than 3/4 steps but you may enjoy a pampering session with 7/8 products. Makes sense! I’m about to try a TO regime and if I like some of the products I will substitute them for the more pricey boosters from PC. I’ll never give up my all time favorite day product – one of your faves: Paula’s Choice Resist Super Antioxidant Concentrate Serum. Everything you need is right in there. Add sunscreen on top and your good to go. Geo55, that’s a definitely a keeper! 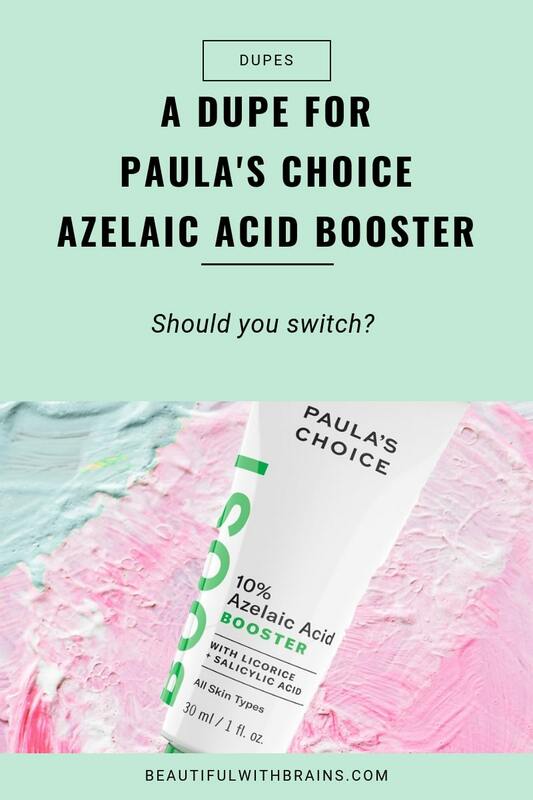 Hi Gio I’m considering trying out the Azelaic Acid Booster from Paula’s Choice but would it substitute the salicylic acid from The Ordinary that I’m already using or would you use one in the morning and the other one evening? Linnea, I would use one in the morning and the other one in the evening.